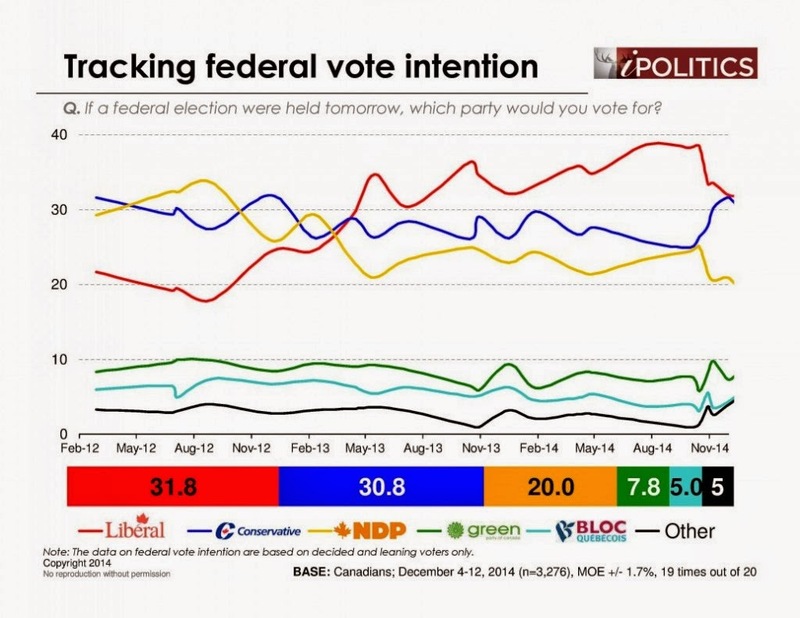 BigCityLib Strikes Back: The End Of The Harper Bounce? Rest of the poll is here. The coalition talk is so much chin music; most important thing is that the red line has stopped falling and the blue line has stopped rising. I liked the leading question asking to choose between a CPC minority and a Liberal/NDP coalition. Why not ask about choosing between two different minority governments or two or three different coalition options?